The All Progressives Congress (APC) administration in Plateau state, led by Governor, Simon Bako Lalong may have already started coasting home with its 2019 return bid, owing to the administrations current display of maturity, determination and focus to put the past behind. The swift steps been taken by the administration currently to locate points of dislocations with the citizens it is governing and making appropriate redress accordingly, REALITY investigation shows are already bringing back the trust for the administration in the Educational, Cultural, Agricultural, Political circle and among the work force of the state. Assisting the return bid of Governor Lalong is the internal crisis currently rocking the state’s Peoples Democratic Party (PDP) chapter, over the choice of the Deputy and running mate to its gubernatorial candidate, Sen. J.T. Useni. As at the time of putting up this analysis, many members of the party are still not on the same level and page with most of those, who see nothing wrong with the choice of Dr. James Dalok as running mate to the party’s guber candidate, Sen. Useni. You would recall that it was also the inability of the party to address perceived aggrieved members that caused the party its victory in 2015 guber election, which saw the PDP losing to the APC. 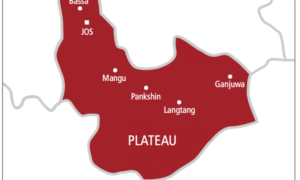 More also, it was the revolt of the Plateau people for the respect of unwritten governorship zoning agreement in the state, which was initiated by some members of the PDP’s elders internally that gravitated to a Plateau Project and later became a Change slogan. The growing tribal suspicion among the minorities and major ethnic groups in the state is also pulling Governor Lalong’s string to success. The Governor like his predecessor, former Governor Dariye is trying to balance the inequalities in the state, especially, as it relates to the cultural values and identity of the various tribes in the state, as it is presently constituted. 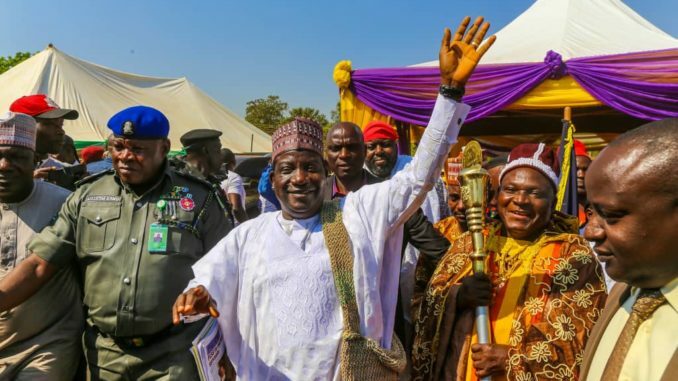 You would recall that the Governor had approved the elevation of several traditional stools in the state in order to give them their deserved independence from the major tribes in line with the vision of his predecessor, Sen. Joshua Dariye. 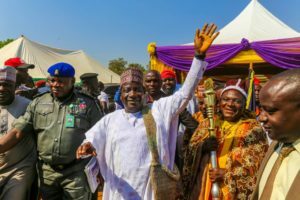 Although many are yet to look deep into the significance of this ceremonies, it is apt to point out that it has not only boosted the image of the tribes and their culture, but it has added political acceptance to the bid of Governor Lalong, as he has helped to bring the tribe to the political map of history. The case of Sen. Useni against a Traditional Ruler in Court, “Ponzhi Zhinni” of Langtang South Local Government, whose chiefdom expands to some part of Wase Local Government Area (LGA), is another tribal tussle that is giving an edge to the bid of Governor Lalong in the coming 2019 contest against the PDP guber candidate. Expanding this trust and possible acceptance of the minority tribes in the state is the recent presentation of First Class Staff of Office to the Ujah of Anaguta in Jos North and the Atar Aten of Ganawuri in Riyom LGAs by Governor Lalong. The absence of the State Chairman of the PDP, Hon. Damishi T. Sango, in this very important cultural and human identification ceremony in his local government and home town may contribute greatly to boosting the acceptance of the APC and the Governor’s second term bid. More to come, as Gen. Timlong, Godfrey Miri and Hitler Dadi are all squaring up to contest for the governorship seat come 2019 in the face of the fears of the people of the Central Zone of Plateau for rotation of Power in 2023.